Images of the solar system's outer most planets. Uranus November 27th, 2018. 1m telescope. ASI174MM camera. 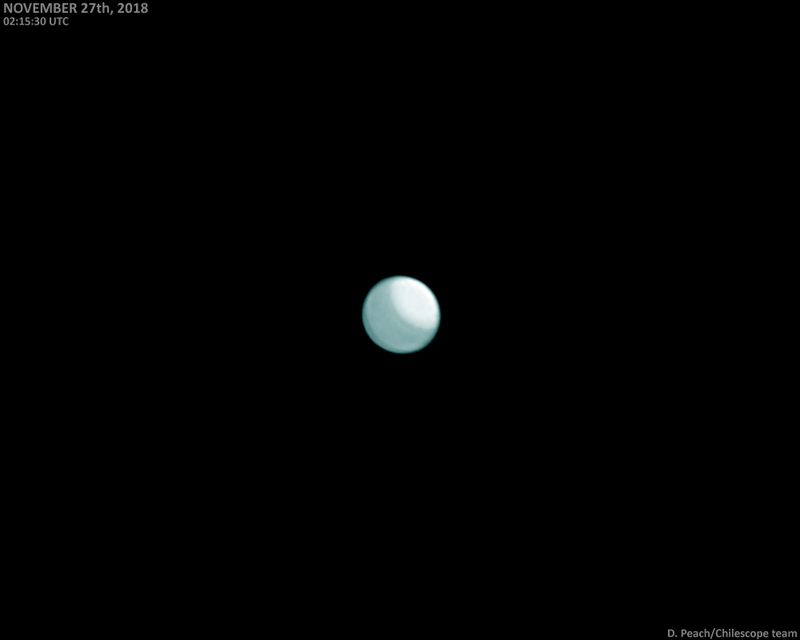 Uranus November 26th, 2018. 1m telescope. ASI174MM camera. 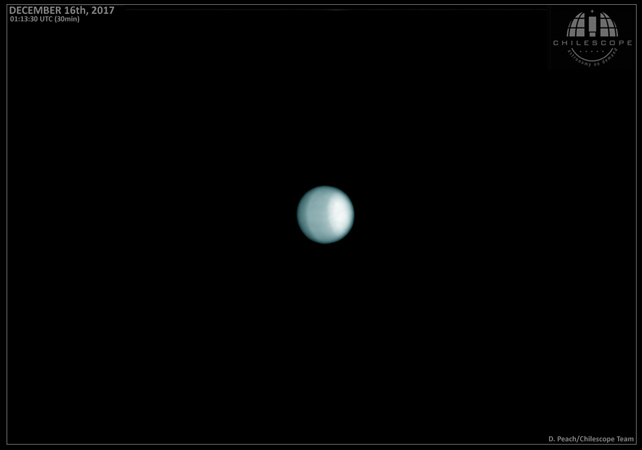 Uranus December 16th, 2017. 1m tekescope. ASI290MM camera. 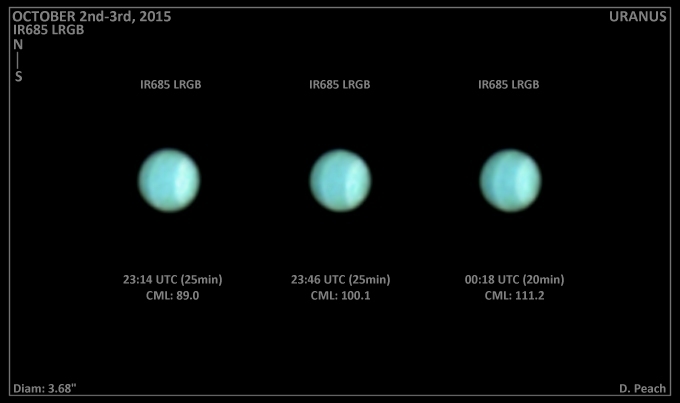 Uranus October 31st, 2015. C14 with ASI224 camera. 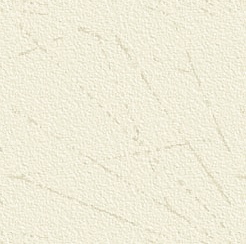 RG610 filter. Excellent seeing. 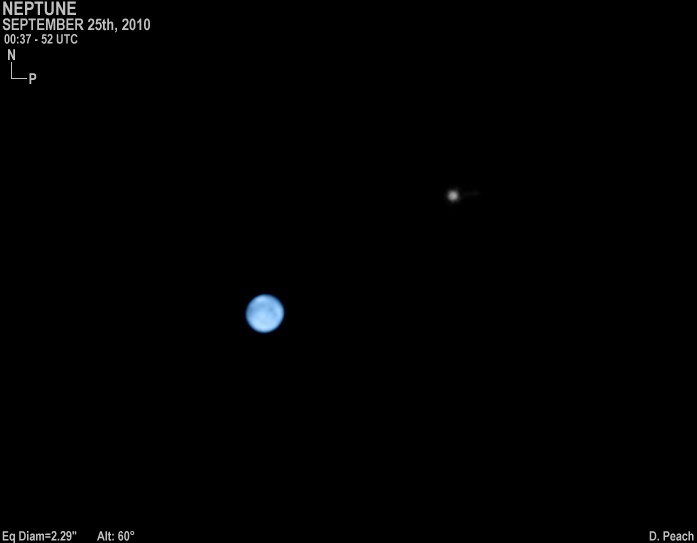 Possible detection of the Uranian ring syste with slight brightening either side of the planet along the axis where the rings would be located. 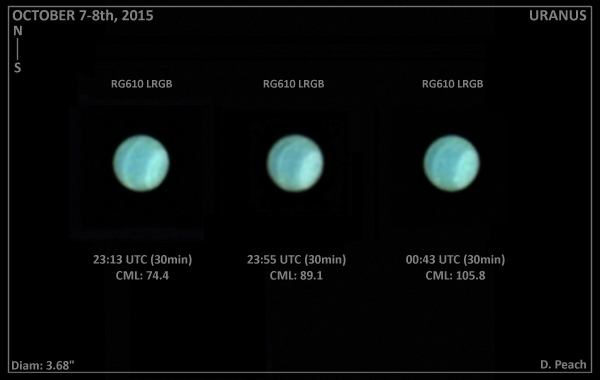 Uranus October 7th, 2015. C14 with ASI224 camera. RG610 filter. Uranus October 2nd, 2015. 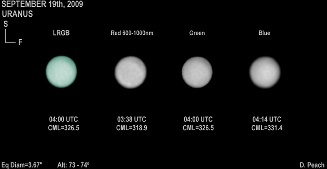 C14 with ASI224 camera. IR685 filter. 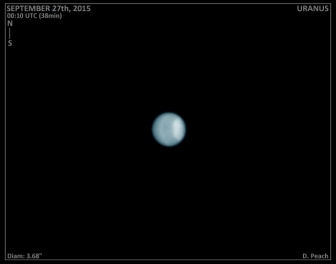 Uranus September 27th, 2015. C14 with ASI224 camera. IR685 filter. Neptune September 25th, 2015. 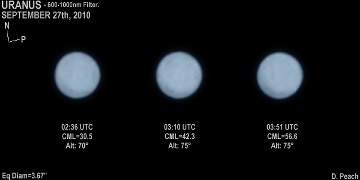 C14 with ASI224 camera. RG610 filter. 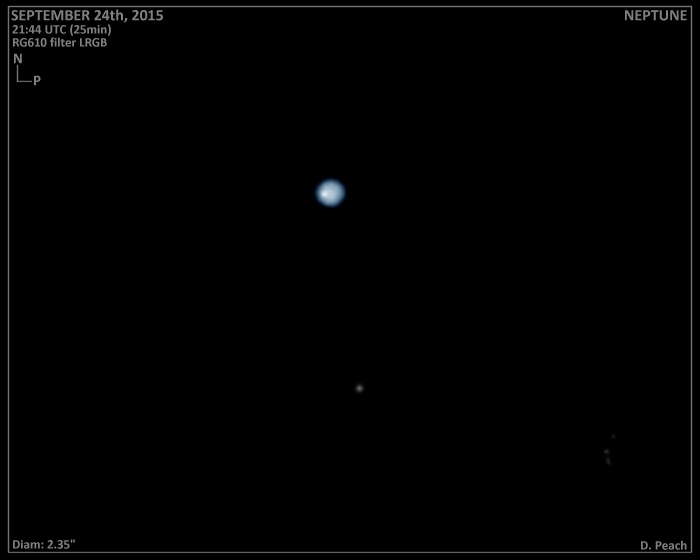 Uranus and Neptune September 24-25th, 2015. 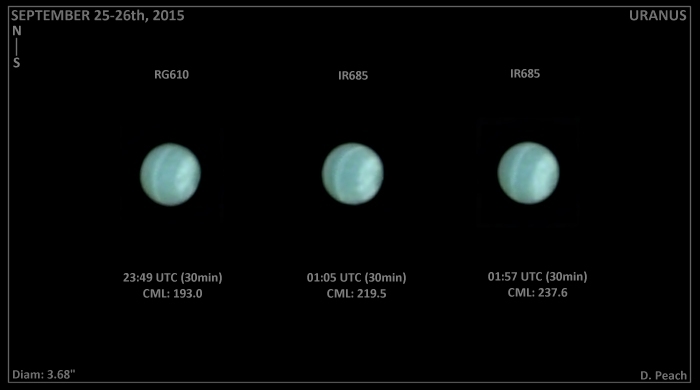 C14 with ASI224 camera. RG610 and IR685 filters. Uranus and Neptune September 19-20th, 2015. 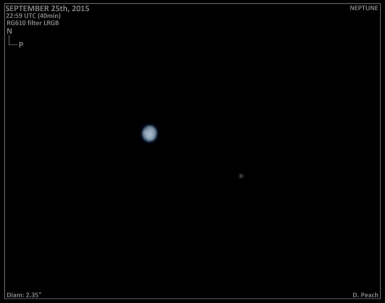 C14 with ASI224 camera. RG610 and IR685 filters. 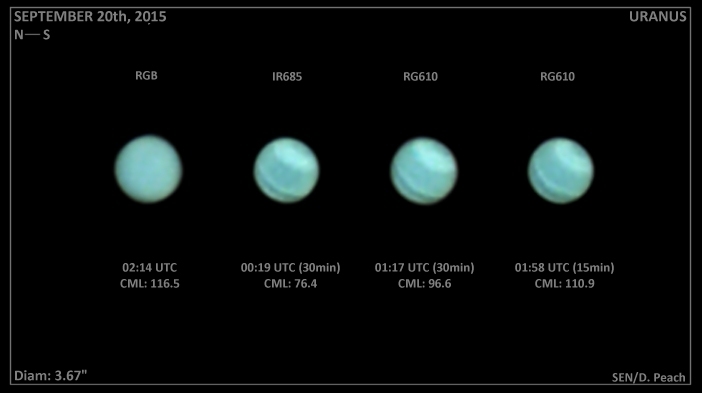 Uranus October 7th, 2013. C14 with ASI120MM camera. RG610 filter. Uranus October 6th, 2013. C14 with ASI120MM camera. RG610 filter. Hamble, UK. 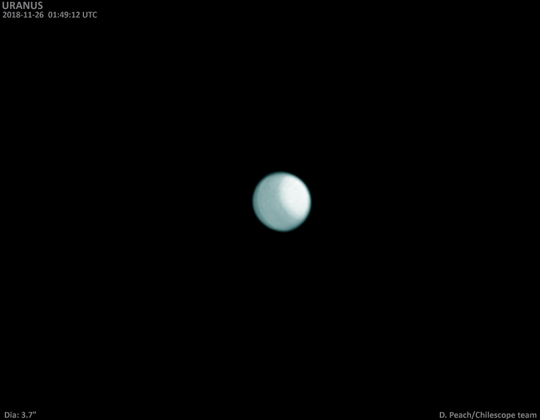 Uranus August 21st, 2013. C14 with ASI120MM camera. RG610 filter. Hamble, UK. 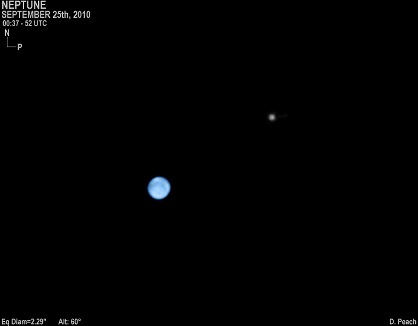 Uranus September 8th, 2012. C14 with PGR Flea3 camera. 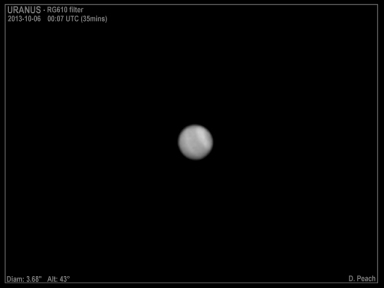 IR685nm filter. Selsey, UK. Uranus September 27th, 2010. C14 with PGR Flea3 camera. Barbados, W.I. 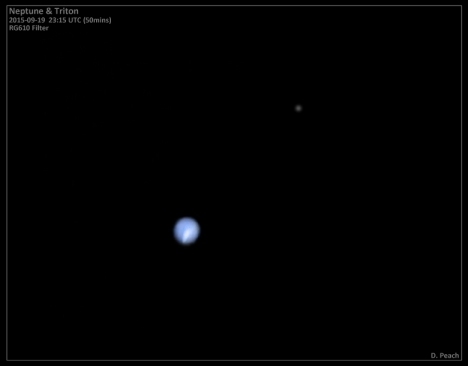 Neptune and Triton September 25th, 2010. C14 with PGR Flea3 camera. Barbados, W.I. Uranus September 25th, 2010. 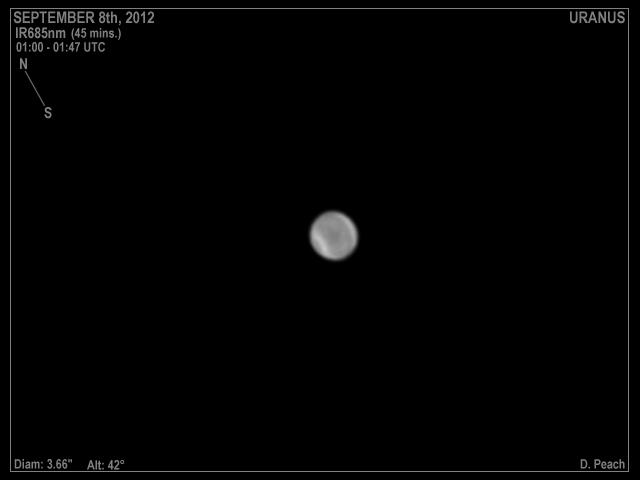 C14 with PGR Flea3 camera. Barbados, W.I. Uranus September 19th, 2009. 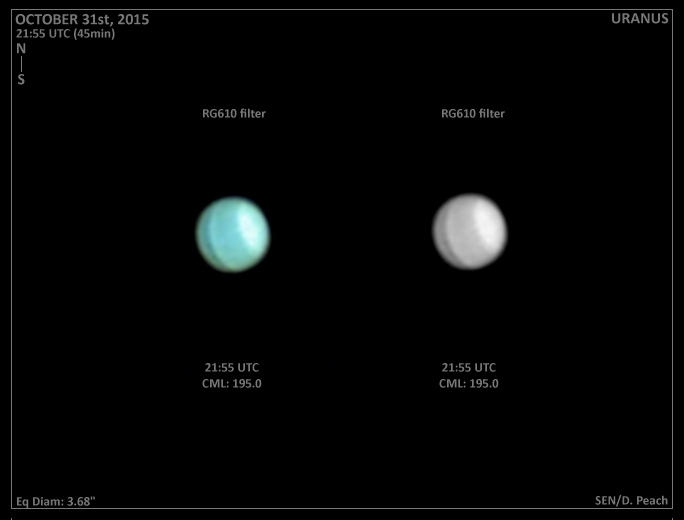 C14 with SKYnyx 2.0M. Barbados, W.I. Uranus May 27th, 2007. C14 with SKYnyx 2.0M. Barbados, W.I.